Our job is to produce, sell and service garden equipment. 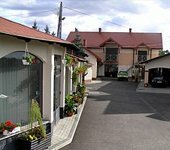 FPHU POLCHIMET is a polish private company which provides services including selling and servicing garden, forest and municipal equipment. It also produces starters and adapters to the equipment mentioned above. 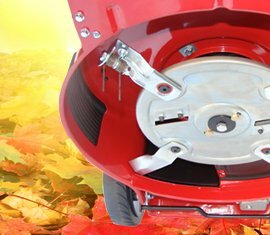 In its wide offer it offers: lawn mowers, mini tractors, trimmers and scythes, hedge shears, rippers, saws, sweepers, snow removal equipment, spare parts for equipment mentioned above and spare parts for tractors. Years past, in addition to production and selling garden equipment we provide servicing lawn mowers. In our institution we do things like: oil change, sharpening and balancing lawn mower blades. Our services include warranty and post-warranty service. 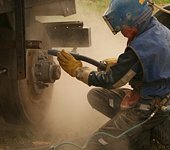 Blasting and sanblasting are being used in order to prevent corrosion formation or bring proper structure of material back. Buying modern blasting chamber let our company to perfectly prepare surface for sand painting. We are manufacturer of petrol lawn mowers pommel! Contentment of our clients gives us huge satisfaction and motivates us for further work. From beggining of this company our main goal is to provide highest quality services and to have qualified staff. Because of happy clients we gain experience which we use in further work. We believe that experience got through these years and tradition let us provide services on the highest level. Thanks confidence of our customers. Together we have been making history of POLCHIMET company since 1980. We have patented and produced universal work pommel. 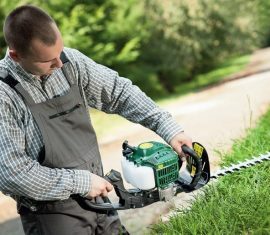 It connects three functions which make working in garden even more effective. This innovative solution attracts more and more happy clients. All of it in one device! Call us for details! Check our shop - numerous discounts and promotions!